PLEASE CHECK OUT THE VISUAL TOUR OF THIS UNIT. 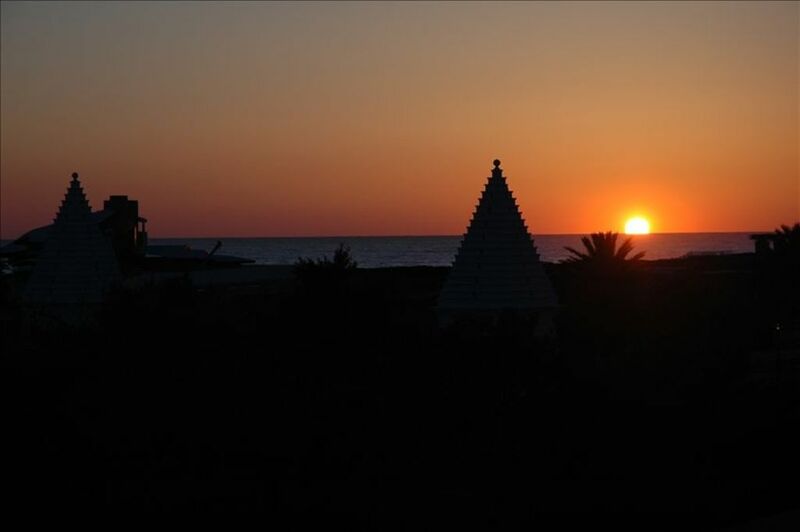 Located on the edge of Seacrest and Alys Beach is the Inn At Seacrest Beach. This center, third floor studio condo is one of the three LARGEST in the building with over 450 SQ FT. The unit has travertine flooring, granite counter tops, and stainless steel appliances. The large balcony overlooks the Inn's pool and jacuzzi and has views of the Gulf of Mexico. The unit is outfitted with a queen sized bed, sleeper sofa (for up to 2 children), 37" flat screen TV with cable, DVD, CD, surround sound stereo, and wireless internet access. The kitchen has a full sized refrigerator, coffee maker, microwave and cutlery to make your stay more enjoyable. The Inn has a large shared washer and dryer facility for your convenience. The Inn at Seacrest sits directly on scenic HWY 30 A, allowing you to walk or bike to Alys, Rosemary or Seacrest Beach. Rosemary Beach has restaurants, shopping and a town green for you to enjoy the day. In addition, the Inn hosts its own pool with jacuzzi and beach access. In January, 2009 my husband and I ecstatically purchased our unit which we refer to as 'Starfish'. We continually refurbish Starfish- adding a dishwasher, painting it a crisp clean white, purchasing linen curtains, an unusual queen size bed with drawers for storage underneath, a queen size sofa sleeper, a six piece wicker set that is oh so comfortable and remodeled the closets to include additional shelving, and a white armoire next to the sofa for yet more additional storage. We live in New Orleans and have visited various areas of the Fl Panhandle for the past thirty years. Seacrest Beach has it all and our Starfish is just perfect! This is the most fabulous location ever. For me it is all about location. The views of the Gulf are excellent. It is within walking distance to many restaurants. The grounds within a mile in both directions are well manicured with palms and brilliant soft green grass. There is a smooth path for walking, jogging and cycling. The architecture of the neighboring communities is inspirational. It has a gigantic pool and jacuzzi. We LOVE it!! The view of the Gulf, proximity to great restaurants of all price categories, nature walk at Alys Beach, pristine beaches, fishing, cycling, jogging, canoeing in the nearby state park coastal dune lakes, unbelievable shopping opportunities- I cannot overstate that fact, yet the property is located in a very serene location and for a reasonable price. Fabulous views of the beach!! Crisp white sheets, pillow cases, and kitchen towels provided. Available on the first & third floors. Four quarters to wash.
Large parking lot. Usually very easy to park near elevator. Parking pass provided. Soft white towels and white bath rugs provided. YES, we have free wireless. Balcony has nearly 300 additional square footage with gulf views. Sofa, coffee table, reading lights, leather chair w ottoman, slim wardrobe next to sofa for stashing books, mags, phone chrgrs, laptops. TV outfitted w swing mounted arm for bed or sofa viewing. full size with ice maker. Dish soap and dishwasher soap provided. Cuisinart pots and pans, mixing bowls, knives, chopping board, baking pan for toaster oven, corning ware for baking, measuring cups and spoons, full set of dishes, cups, bowls, wine glasses, glasses. A two foot by four foot island is equipped with two bar stools for dining inside. Trays are available for transferring food to the balcony coffee table for eating meals al fresco- my favorite. Surround sound sterio with four speakers mounted to wall. Bring your ipod or cds or dvds. We rent dvds at the grocery about a ten minute drive. Balcony measures over 20 feet across and 13 feet deep at deepest part in the center. We have a very comfortable deep seated sectional that two people can comfortably stretch out on and take a snooze. Bikes are available to rent right next door at Alys beach or if you bring your own, lock them up on the bike rack in the back of the building. Within 5 minutes you can get to the golf course at Watersound. Huge pool with plenty of seating for lounging. Clean restroom in pool area. We had a great time at this property. We would definitely stay at this location again. We Loved our stay here and everything was clean and there for our use! convenience, huge balcony, clean and very comfortable. We will be back! This is a great unit. The best studio I have stayed in on 30a. It’s beautifully decorated, amazing storage and organization, so spacious, great location, owners amazing to work with, great view, huge and cozy balcony........ I could go on. We will definitely return. My second stay in this beautiful, roomy studio! Owners are always quickly responsive. Recent bathroom updates. Thank you for enough trash bags, toilet paper, coffee filters, diswasher pods, liquid dish detergent so that a trip to store wasnt needed. Favorite aspects are the balcony and amazing view! We had a lovely weekend in this unit. Very clean, really cute industrial kitchen with everything we needed (especially loved having a cooktop). The large patio was great with a great view, very comfy furniture. The bed was really comfortable. The only reason for 4 stars instead of 5 was the bathroom. It was very clean and had plenty of room, just desperately needs a little update. Thanks so much for having plenty of the essentials like coffee pot filters, toilet paper, paper towels, dish towels, garbage bags, dishwasher detergent so I didn't have to purchase those! The owners were great to work with.